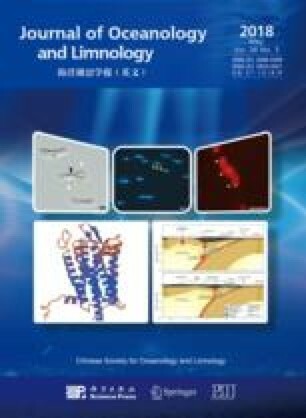 The spatial and temporal variability of the phytoplankton community structure in Daya Bay, South China Sea, were identified by using HPLC-CHEMTAX analytical techniques. The highest chlorophyll a (Chl a) concentrations were observed during summer (with an average value of 0.84 μg/L) and lowest ones during winter (with an average value of 0.33 μg/L). CHEMTAX processing revealed the seasonal succession of phytoplankton species in Daya Bay. During winter, diatoms were the dominant phytoplankton species and contributed 41.5% to total Chl a. Based on Chl a concentration, the average ratio of dinoflagellates to total phytoplankton biomass substantially increased with increasing temperature and nitrogen to phosphorus (N/P) ratio, reaching 52.2% in spring. Nutrient limitation shifted from phosphorus to nitrogen during summer. Moreover, this period was associated with the predominance of diatoms, which accounted for 71.1% of Chl a. Prasinophytes and cryptophytes were the other two dominant groups and particularly dominated during winter. Cyanobacteria became an important group during summer and autumn. Canonical correspondence analysis suggested that chrysophytes, dinoflagellates, and cryptophytes were strongly associated with high nitrate concentration, ammonium, dissolved inorganic nitrogen (DIN), and N/P ratio, and were negatively associated with temperature and phosphate. Diatoms and cyanobacteria were strongly associated with temperature, phosphate, and salinity, and are negatively influenced by nitrate, ammonium, DIN, and N/P ratio. Microscopic observations and pigment HPLC information were in good agreement for diatoms and dinoflagellates in the bay. This study demonstrated the usefulness of pigment analysis in investigating the distribution of phytoplankton groups in a complex physical environment, such as Daya Bay.